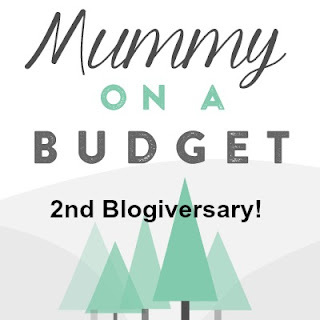 Happy 2nd Blogiversary to this blog! I'm so glad that I started writing this blog two years ago today. It's now become such a great way to record our family life and adventures. There are still things I'd like to do with the blog, but for now my goal is just to keep up with the content as this is proving a challenge in itself. The last few months have been harder to keep up with writing posts so there are currently lots in my drafts! I'm determined to post these at some point so Little Miss A has a full record. My excuse for lack of posts some weeks is that I'm generally sleeping at every opportunity such as Little Miss A's nap times. My pregnancy wipes me out! Add on top that I'm now working part time plus trying to keep up with an active toddler and despite sleeping in the day when I can, I'm always ready for an early night and more sleep! 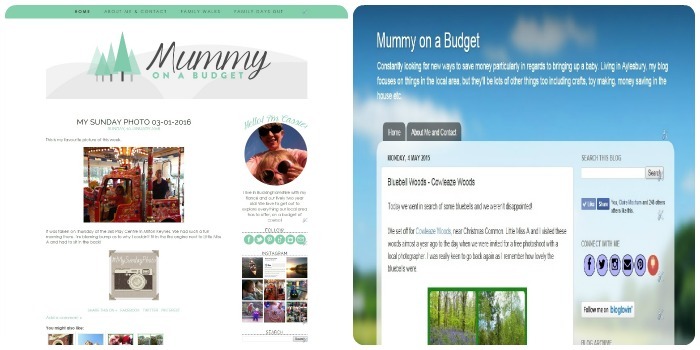 The blog looks very different now to a year ago as back in May I took the plunge and invested in a new design for the blog. I'm still really pleased with it and the logo definitely suits our outdoor family lifestyle. This year I hope to take a more active part in other linkys, but the two I've enjoyed the most have been 'My Sunday Photo' and 'Me and Mine'. The blog has brought with it a few great opportunities. The best of which was a trip to Bristol where we spent a fab couple of days and only had to pay for our accommodation! I have to say that out of these, Instagram is now my favourite medium. I love picking photos to post and then generally being nosy about what other people are up to! There's a lovely community on there and it's a great place to pick up ideas for crafts and things to do. I love being a part of the blogging community. There are so many lovely bloggers out there who will always pass on a kind word or piece of advice. I can only look on with envy at those who have taken the leap to make blogging their full time occupation. Thankyou so much to everyone who reads and supports this blog. In particular Mr MoaB for his patience when I spend so much time writing content and on social media (he really does despair sometimes) and to Little Miss A for humouring me when I constantly ask her to say 'cheese' for a photo! I really hope she enjoys reading this blog in the future as much as I enjoy writing it. It's going to be an exciting year for the MoaB family. I wonder what adventures we'll get up to as a family of 4!? !